Mir Abdul Quddus Bizenjo is the current Member of Provincial Assembly (MPA) from Awaran district and also happens to be the Deputy Speaker of Balochistan Assembly. Born in 1974 in a political family of Awaran, Abdul Quddus Bizenjo was elected to Balochistan assembly for the first time in 2002 and again in 2013. 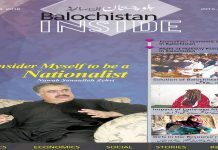 Balochistan Insights conducted an interview with him while he was the acting Governor of Balochistan. Please introduce yourself and tell us about your family background? assembly. He never provided me the chair to preside over the sessions of Balochistan assembly and I was only receiving my salary and doing nothing. I resigned because I was not allowed to perform my duties as deputy speaker. 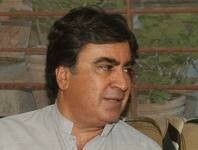 I requested President of Pakistan to increase the quota of Balochistan students in federal universities.